It has been observed on many occasions that the far right cannot manage to maintain any kind of unity for any period of time. Their enthusiasm for forming groups and societies is only matched by their fervour for argument and infighting. It appears that being at odds with civilised society isn’t enough, they have to be at odds with one another as well! 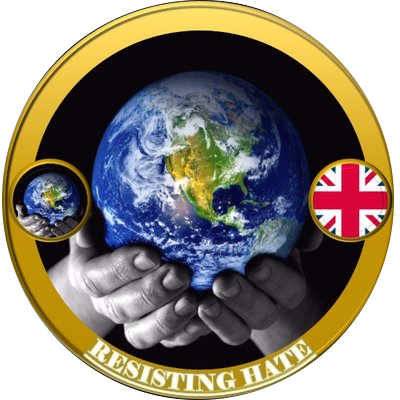 The latest example of this fash infighting that has landed in the mail box of Resisting Hate involves caterwauling Holocaust Denying singer songwriter Alison Chabloz. Chabloz was given a 20 week jail sentence suspended for two years last year for publishing her own songs which mocked and derided the victims of the Holocaust. In particular the lyrics that likened the hellish death camp Auschwitz to a ‘theme park’ were deemed criminally offensive. For Alison, controversy has always been part of the day job. Unable to launch a career based on her singing voice she decided to attempt a career based on being as noxious as possible. This involved getting close to some pretty abhorrent individuals such as Jez Turner of the London forum (imprisoned for anti semitism) and discredited Holocaust ‘revisionist’ David Irving. Since publicly acknowledging her prejudice of the Jewish faith in 2015 when she performed the anti semitic quenelle gesture in Edinburgh, Chabloz has been openly rubbing shoulders with the underbelly of modern fascist society. Unfortunately life in the fash lane has had a few hiccups for Alison. 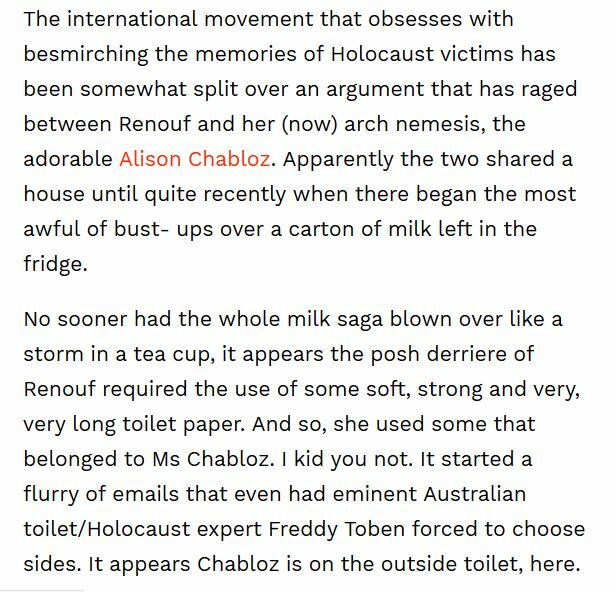 She house shared with notorious Australian Holocaust denier Michelle Renouf for a while but their domestic bliss was shattered by a series of rows over milk and toilet paper! 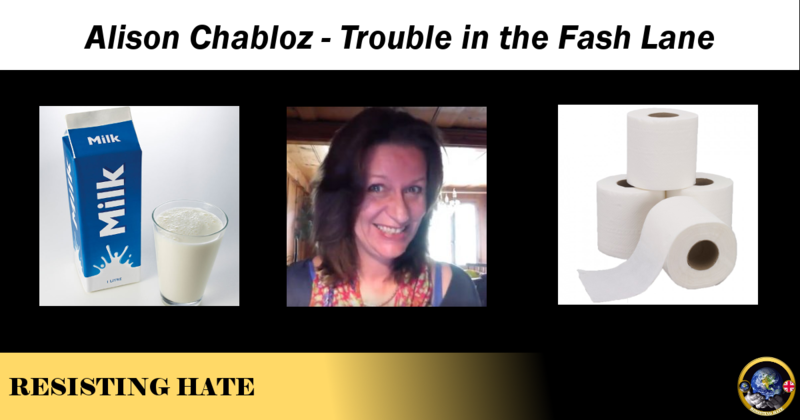 It was very interesting to hear that the relationship between the Holocaust Deniers and Ms Chabloz has deteriorated sharply over the last few months. The problem seems to have stemmed from Alison’s fixation with Professor Faurisson (an academic who attempted and failed to give the theory of Holocaust Denial respectibility). Faurisson was due to host a seminar in Middlesex in October 2018 where he planned to address an audience on his usual anti semitic viewpoints. Ms Chabloz was not invited, allegedly because she had fallen out with the meeting organiser. Refusing to graciously accept her lack of invite, Chabloz bombarded Faurisson with emails, pestering him to such an extent that he finally adopted the policy of completely ignoring her. Faurisson’s address was interrupted on the day by a group of antifascist activists. It is believed by many of the audience that it was Alison Chabloz who was behind the leaking of the venue, knowing it would cause trouble for the attendees. 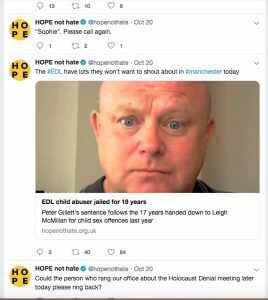 The speculation appears to be related to a Twitter post made by the anti hate organisation Hope not Hate on the day of the meeting asking for a ‘Sophie’ to ring them back relating to a planned meeting of Holocaust Deniers. 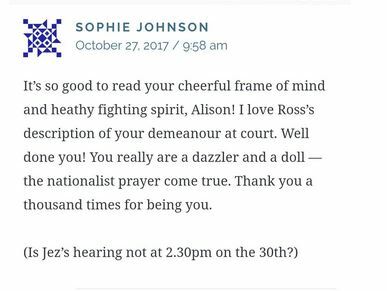 It is speculated that ‘Sophie’ is in fact Alison Chabloz’ close friend Sophie Johnson . This is certainly the view of the nationalistic publication ‘Heritage and Destiny’ who believe that Alison was behind the sabotage of the meeting, encouraging ‘Sophie’ to tip off Hope not Hate in the hope that they in turn would alert activists to the presence of the fascists. 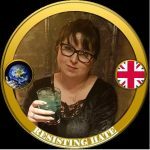 There is of course the possibility that Alison contacted Hope not Hate herself, using an alias and choosing to use her friend’s name to ensure that any blame would land on Sophie Johnson and not herself. 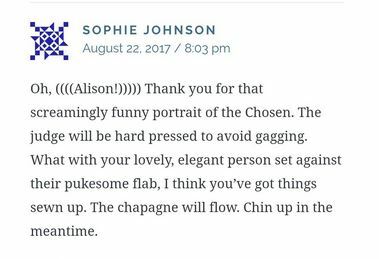 One interesting theory which was suggested to Resisting Hate that Sophie Johnson does not actually exist and is in fact an alias of Chabloz. This theory is supported by the fact that ‘Sophie’ doesn’t have a Twitter account and she posts nothing but the most sycophantic fawning comments about Alison. 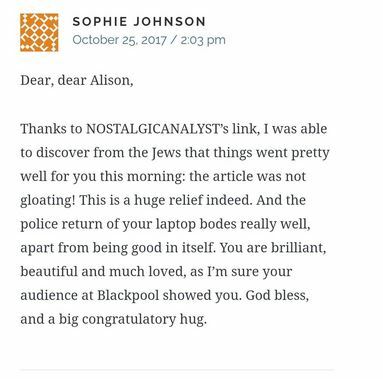 Sophie also didn’t make an appearance until 2017, just after the CPS took over Campaign Against Antisemitism’s private prosecution of Alison. Is it possible that an imaginary friend was just the ticket in these troubled times..?